Learn how to manage and mitigate pollution for healthy functioning environments. Pollution is one of the world’s greatest challenges. The World Health Organisation estimates that 1 in 4 of total global deaths in 2012 can be attributed to unhealthy environments. Risks include air, water and soil pollution and chemical exposures. Pollution limits productivity and degrades ecosystems. It is central to debates on climate change, loss of unique flora and fauna and chronic illnesses. 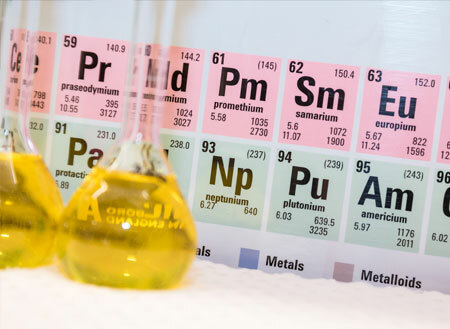 In order to fully understand, manage and mitigate pollutant risks we need to engage a range of different disciplines including soil science, chemistry, geology, aquatic ecology, engineering, modelling and hydrogeology. Through undergraduate and postgraduate courses at UNE students will learn the skills to become job--ready, practising pollution scientists. Why study Pollution Science at UNE? At UNE our focus for pollution science teaching and research is on soil and water systems provided through the soil science discipline, one of Australia's leading groups in soil science education. We lead students from understanding fundamentals of pollutant behaviour in environmental systems to being able to work with industry to implement multimillion dollar remediation schemes. We have a focus on rural regional issues being located in the New England region of NSW but also provide students with exposure to national and global pollution issues in current debates such as nanoparticles, microplastics in Sydney Harbour and derelict mine management. We actively engage with industry professionals for work integrated learning and students gain access to world leading laboratory and analytical facilities. 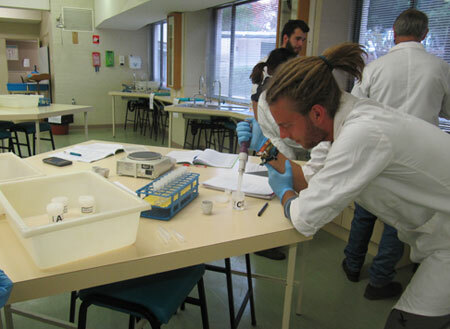 UNE is an excellent academic environment for students to conduct research in Pollution Science at various levels, e.g., Honours, Masters and PhD. Academic staff members are highly qualified and respected researchers in their related fields (see “Research” below). Research projects can be tailored to individual students and may be theoretical and/or field/collection-based. Students may wish to choose field sites that are local, interstate or overseas. UNE is also well equipped with modern research facilities (see 'Facilities' below). UNE has excellent laboratories for pollution science analysis and research. Analytical facilities include ICP-OES, ion chromatograph, Carlo-Erba-MS CNS analyser, AFS, NIRS, GC-MS and HPLC. We have a range of field equipment with a new state of the art glasshouse and sample preparation complex. For information on our research activities, please visit the pages of the Pollution Science Research Group.